Answer: The Lord Jesus has explained this question very clearly. John 5:39-40: “Search the scriptures; for in them you think you have eternal life: and they are they which testify of me. And you will not come to me, that you might have life.” The Lord Jesus explained the relationship between the Bible and God very clearly. The Bible is a testimony of God. The Bible itself does not have eternal life and cannot bestow life on man. Only Christ is the truth, the way, and the life. Therefore, only by accepting and following Christ and obeying the words and work of God of the last days, can we gain the truth and eternal life. Let’s take another look at how there are still many people in religious circles who still maintain that “Believing in the Lord is believing in the Bible, departing from the Bible means not believing in the Lord.” They even think that as long as they stick to the Bible they can be brought up into the kingdom of heaven. Isn’t this viewpoint too absurd? Actually, the Bible is just a history book, a record documenting God’s work. If people don’t understand this and keep holding on to the Bible, then let me ask: Can the Bible replace God’s work of the last days? Can the Bible replace Christ in expressing the truth? Can one really gain the truth and life by studying and sticking to the Bible? If people stubbornly hold on to the Scriptures like the Pharisees, does it prove that they follow and obey God? 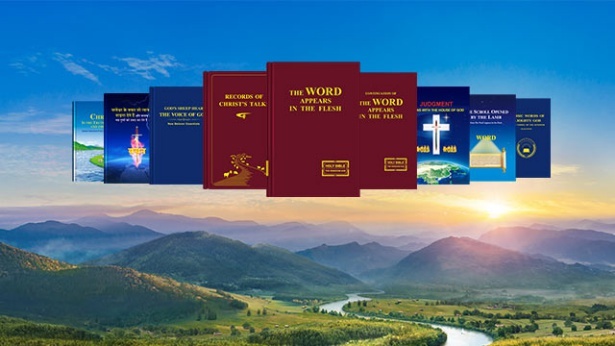 If people only hold on to the Bible but don’t accept or obey the work of Christ in the last days, then how can they gain the truth and life, achieve salvation, be perfected, and enter God’s kingdom? Let’s read a few more passages of Almighty God’s words and we’ll understand this aspect of the truth even more clearly! 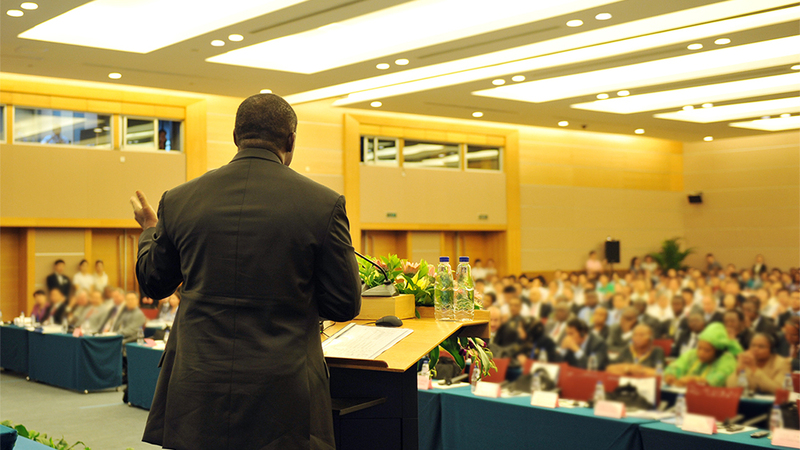 Almighty God’s words have clearly exposed the religious leaders who simply exalt the Bible and bear witness to the Bible but never exalt or bear witness to God, and also exposed the truth and essence of their using the Bible to replace God and impersonate God and their using the words of the Bible to resist and condemn God’s work, completely exposing their truth-hating and God-opposing satanic nature. Think back to the time when the Pharisees stubbornly held on to the Scriptures and delimited God within the Scriptures. They never sought the truth or God’s footsteps. Even though the Lord Jesus, when preaching and doing His work, expressed many truths and performed many signs and wonders, already demonstrating God’s authority and power, what did the Pharisees do? They didn’t care how profound the Lord Jesus’ preaching was or how great His authority was. As long as it did not conform with the words of the Scriptures, they would furiously condemn and resist the Lord Jesus. And because the Lord Jesus expressed the word of God, they condemned and blasphemed the words of the Lord Jesus as blasphemy, and in the end nailed the merciful Lord Jesus to the cross alive, completely exposing their truth-hating and God-opposing satanic nature. Today, religious pastors and elders are just like the Pharisees of old. They do all they can to exalt and bear witness to the Bible, but never exalt or bear witness to the Lord, and moreover don’t proclaim and bear witness to the words of the Lord and all the truths expressed by the Lord. They specialize in talking about Bible knowledge and theology, spreading various paradoxical, empty spiritual theories to deceive, control, and bind people, saying, “All of God’s utterances and work are recorded in the Bible, there are no utterances and work of God outside of the Bible, Belief in God is belief in the Bible, departing from the Bible means not believing in God, One only needs to hold firm to the Bible to be taken up into the kingdom of heaven,” making everyone mistakenly believe that the eternal life is contained in the Bible, and that people only need to stick to the Bible to be able to enter the kingdom of heaven and receive eternal life. Before they knew it, the Bible replaced God’s position in people’s hearts. Everyone blindly believes in and worships the Bible, and treats the Bible as God. Imperceptibly, the Bible has become a binding spell for believers, and the Lord’s position in the hearts of people is completely gone. What would be the consequence of this? People’s faith in and knowledge of the Lord are reduced to nothing! This is the consequence of letting religious pastors and elders explain the Bible. Previous：Question 5: Paul made it very clear in 2 Timothy that “the entire Bible is inspired by God” (2Ti 3:16), This means that every word in the Bible is the word of God, and that the Bible represents the Lord. Believing in the Lord is believing in the Bible. Believing in the Bible is believing in the Lord. Moving away from the Bible means not believing in the Lord! Our belief in the Lord only requires us to hold firm to the Bible. 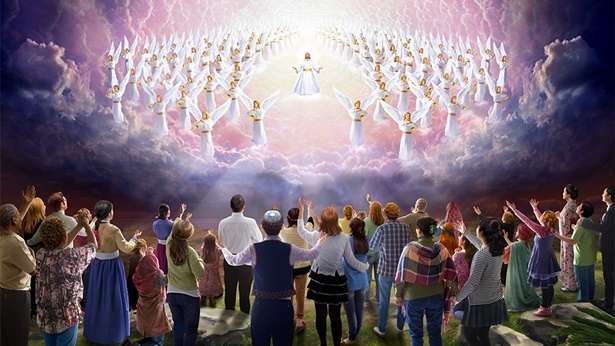 Even if we do not accept Almighty God’s work in the last days, we’ll still be able to be saved and enter the kingdom of heaven. Is there anything wrong with this understanding? Next：Question 7: You testify that the Lord Jesus has already arrived and He is Almighty God. and that He has expressed many truths and is doing the work of judgment of the last days. Is that true? I think this is impossible. We’ve always maintained that the words and work of God are recorded in the Bible, and that the words and work of God do not exist outside of the Bible. We believe that the Bible already contains the fullness of God’s salvation, the Bible represents God. As long as one adheres to the Bible, he will enter into the kingdom of heaven. The Bible already contains the fullness of God’s salvation, the Bible represents God. Our belief in the Lord is based on the Bible, straying from the Bible constitutes a denial and betrayal of the Lord! Is there anything wrong with this understanding?